This release contains important updates behind the scenes to enable new feature development in the future. It also includes several bug fixes and performance improvements. 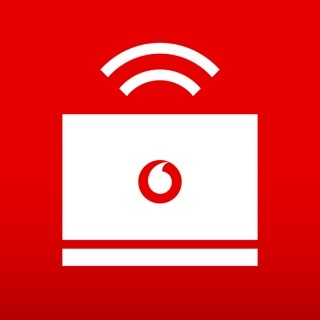 Older versions of the My Vodafone app will be retired in the coming months, so we encourage our customers to stay up to date and download this latest version. My wife and I have been with Vodafone for many years, when our present contract ends we will definitely leave. The customer services are a joke, it usually takes an age to talk to someone and they play the same dreadful music that is on one continuous loop. When you do finally get to speak to someone you can guarantee that you will be placed on hold several times (at least) and you've guessed it... the same awful music. What happened to airport/lift music. No offence intended, but it quite difficult to always understand the advisors. They either talk too fast, or, broken English. The eventual price that you pay is never what you expected, and, don't believe them when they tell you that any discrepancies will be adjusted on your next bill! I made the mistake of having Vodafone broadband, the signal strength was that poor even in our small house that I had to purchase a signal booster. It was a marathon getting Vodafone to honour their last deal with me, but I persisted and (eventually) received the iPhone 6 that they promised me. What I didn't realise was that it was a 16gb! Farewell Vodafone, though art too dear for my possessing. I downloaded this app around 5-6 years ago when I joined Vodafone and it was useless. After giving it some time to correct its mistakes, I just re-downloaded it and... what constitutes this as an app? Yes, it is somewhat aesthetically pleasing, it boasts cute pictures, vanguardist pie charts and an agreeable font, but you can’t access any information of importance, it barely responds to the touch and you could find yourself waiting for a chat agent for the next 15 years (whilst spending our precious data 🥰). Pardon me, software engineering team, but it seems you’ve got all the gear but NO idea. Of course, all phone companies are absolute gangsters, but at least Vodafone gives you the option not to have to re-mortgage your house with hints and tips hidden like Easter eggs in a state-of-the-art video game, so if you’re savvy and you’ve unfortunately already fallen into the inevitable trap of going £500 over your limit before (myself, circa 1 year ago) you’ll discover how to overcome these hardships, with Oh! a data cap! - supposedly controlled in the app. Anyway, Vodafone is a good company with good rates but boy, I don’t know what on earth they’ve created here. Please, for the sake of your hard-working, undoubtedly subjected yet ever-faithful customers, do the good thing and let us see why you’re taking an extra two quid off of me this month.